US technology giant Apple reportedly started building its first data center in North China, and a Chinese analyst said that such data bases will appear more frequently in the country with the coming 5G era. The new data center, located in Ulanqab, North China's Inner Mongolia Autonomous Region, will be the company's second data center in China. Apple's data center in Southwest China's Guizhou Province started construction in May 2018, according to a report by local news site gywb.cn. The Ulanqab-based project is expected to go into operation in 2020. It will provide iCloud services for Apple users in China, according to the Xinhua report. The creation of data centers can help solve many problems that domestic iPhone users have encountered, such as internet connection errors and data synchronization failures, domestic news portal ce.cn quoted Lisa Jackson, an Apple senior executive, as saying in a report published in July 2017. Regions like Inner Mongolia and Guizhou, which are less developed areas of China, are trying to seize business opportunities provided by the rising big data industry. For example, Ulanqab - formerly a traditional agricultural city - is now home to the data centers of several domestic giants such as Huawei and Alibaba. Ulanqab has built a big data industrial park covering about 13 square kilometers, the Xinhua report noted. Huawei has also built a data center in Guizhou, according to media reports. Domestic telecom expert Xiang Ligang said that data centers need to be in areas with sufficient power supply - ideally, near power plants - as well as regions that aren't too hot, so that equipment can disperse heat more easily. Inner Mongolia and Guizhou meet those requirements very well. According to Xiang, if the big data industry can develop on a large scale in those regions, it would provide momentum for the domestic economy. "But setting up a few data centers is not enough to create a large-scale industry. 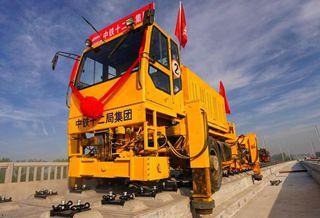 Other factors, such as talent and government policies, are also needed for the industry to boom," Xiang said. The 5G industry would provide impetus for this trend, as the 5G era, which will mean faster speeds and larger data volumes, would definitely push the establishment of more data centers in China, he said.